This post was created in partnership with Warner Bros. Pictures. All opinions are 100% my own. 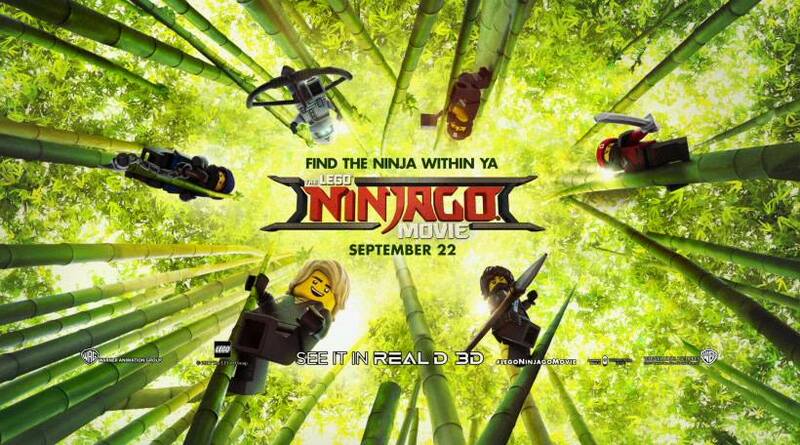 Get ready for some wood chopping, karate kicks high in the air, and unexplainable holes in the wall because the new The LEGO NINJAGO Movie is coming on September 22, 2017! All the kids are SO EXCITED! They love anything LEGO, especially themed movies. 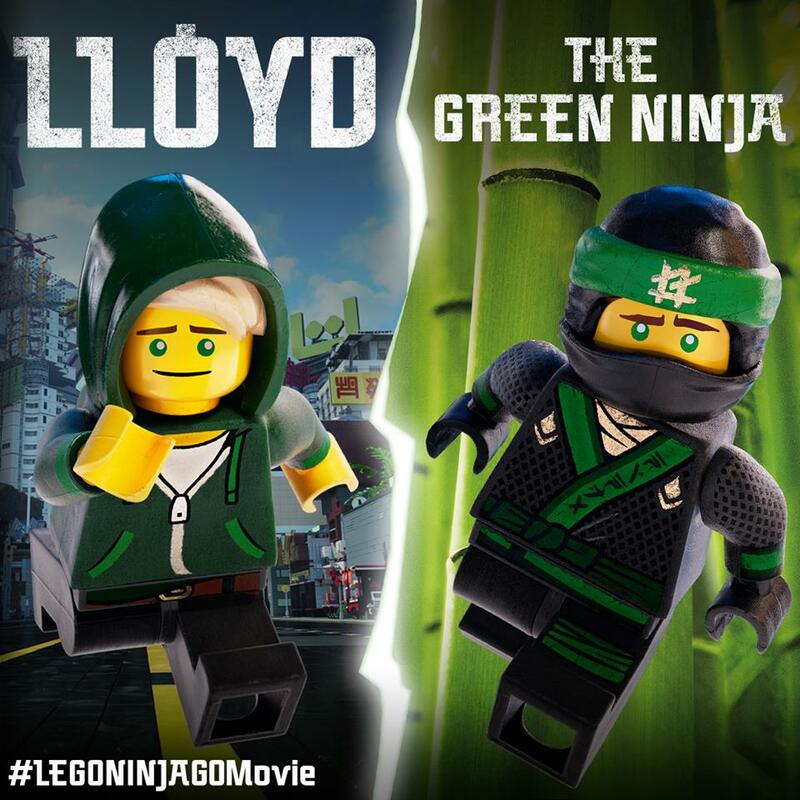 That's why this Halloween, we're making a DIY LEGO NINJAGO Movie Costume inspired by Lloyd (aka the Green Ninja), on the main characters in The LEGO NINJAGO Movie! 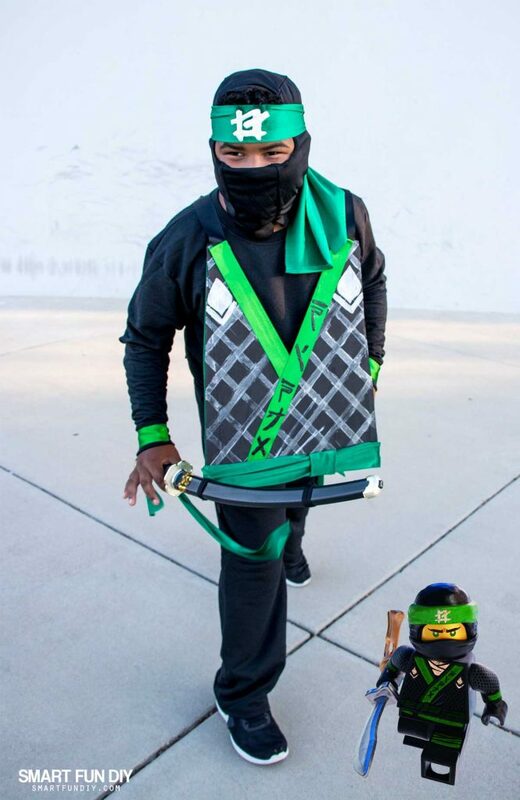 With the The LEGO NINJAGO Movie release on September 22, 2017 and Halloween following close behind, I already know this costume is gonna be one of the top most popular for this year. Luckily for us, we can totally DIY this one and not even break the bank. Plus, I made the costume reversible . 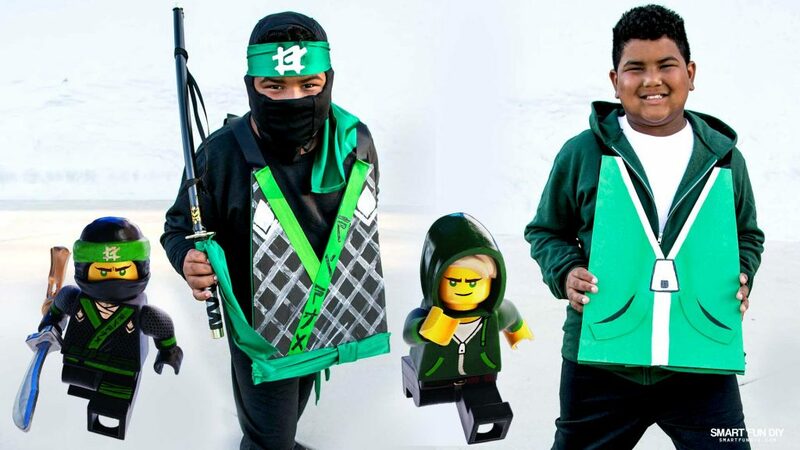 You can easily adapt this DIY LEGO NINJAGO Movie Costume to any of the characters in The LEGO NINJAGO Movie by changing the colors and accessories. I already saw the reaction on my son’s face when he saw the trailer. 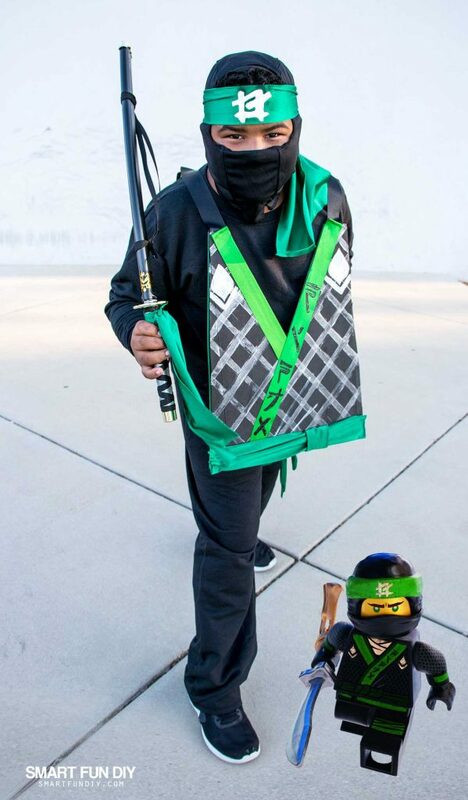 This Green Ninja costume is the winner! To keep things simple, I decided to make a costume similar to the Emmet costume I made when the The LEGO Movie came out … but better! This costume is warmer and the parts can be used as clothing after Halloween is long gone. Since the costume is easy to remove, he can wear it to school. 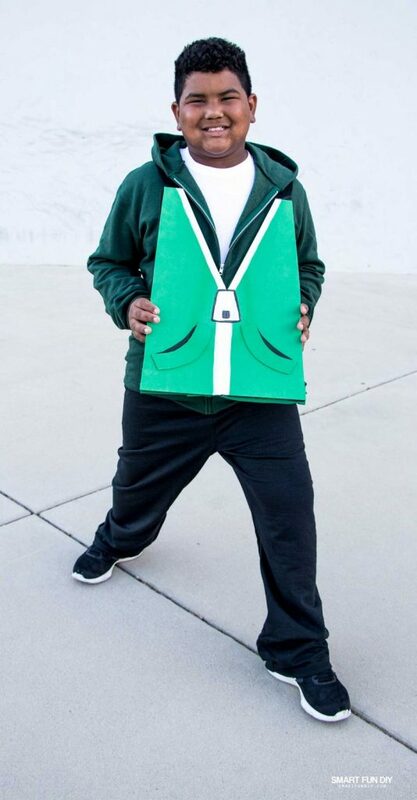 The reversible sandwich board panels make this costume extra special and unique … no one else is gonna have this costume! Well, unless you make it with this tutorial. 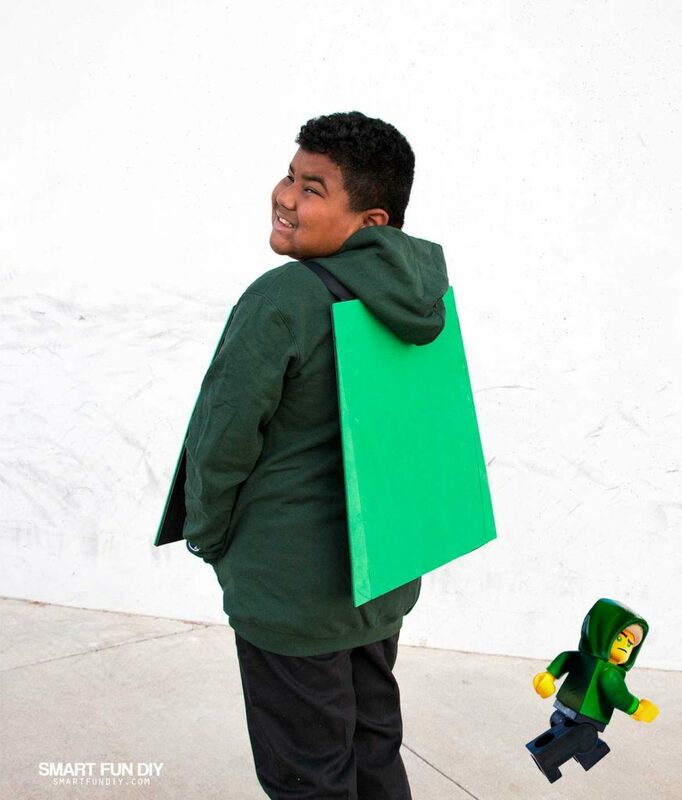 The easiest way to get the boxy shape of a LEGO character is to use cardboard or foam core. 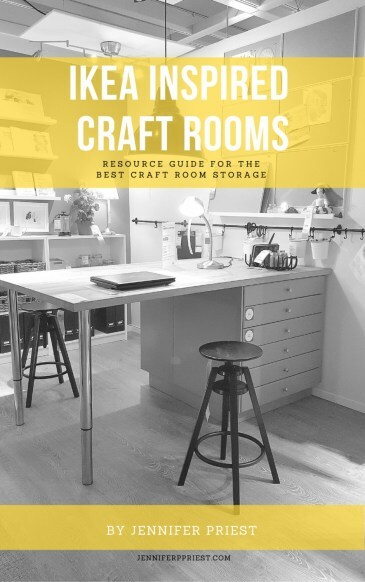 I chose foam core because you can buy it in colors and you won't have to paint it. 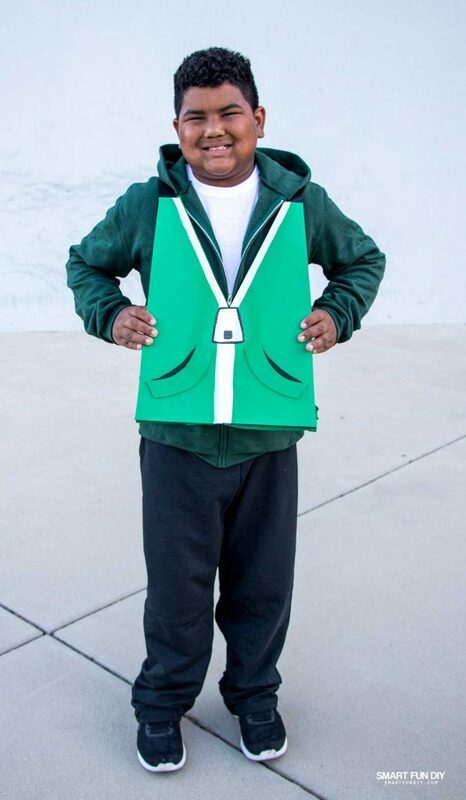 Plus, foam core is a lot sturdier than cardboard for a costume worn by an active child. 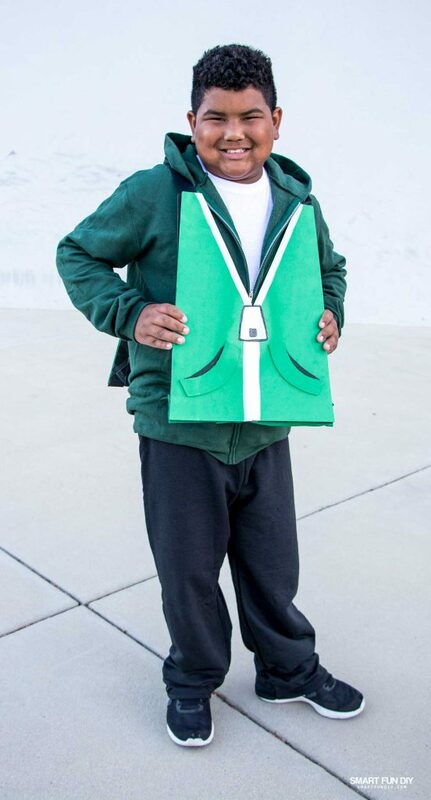 This whole costume is based on a sandwich board style top, which is super easy to make look like a boxy LEGO body. All of the clothing items are reusable and can be worn the rest of the year. Total winning mom moment! Cut the sheet of 20″ x 30″ foam core in half with a craft knife to make two pieces, each 20″ x 15″. Mark 1.5″ in from the corner on one of the 15″ sides of each panel. Use a ruler to draw a line from the corner to the mark on each side. This will make a trapezoid shape (one end tapered). Use a craft knife to cut along the line on both panels. Cover the front and back panel with green craft foam. Glue the foam in place with Aleene's Felt and Foam Glue. Trim with a craft knife. Save the scraps. Cut the pockets from the scraps of foam and glue them on. Use white paint and fine paint brush to draw the zipper details onto the craft foam. Allow to dry. Using a craft knife, cut V on the short side of the front panel, about halfway down. This will be the V made by the open hoodie jacket. Cut the ribbon to two pieces 18″ in length. Lay the panels with the shorter ends facing one another, about 8-10″ apart. This gap need to be wide enough for your child's head to fit through. Hot glue the ribbon from one panel to the other, about 1″ in from the corner of the foam core board. This will form the shoulder straps. Use black paint and a fine paint brush to draw other details from Lloyd's character onto the craft foam. Allow to dry. Cover backs of each panel with black craft foam. Glue the foam in place with Aleene's Felt and Foam Glue. Using a yard stick, paint diagonal lines in silver paint across the black panels. Allow to dry. Adhere the green ribbon to the front panel with hot glue, tucking the ends under to prevent fraying. Cut the swimsuit fabric into two 4.5″ x 45″ long strips. Set one aside. Cut a strip of swimsuit fabric to the width of the bottom of the front panel. Cut a 4″ x 6″ strip of swimsuit fabric from the excess. Wrap the long strip with the small strip of fabric and attach to the bottom of the costume front. Tie another scrap of the fabric around the child's leg and another piece around the sword. Paint details into the costume using white and black fabric paint and dimensional paint. Allow to dry. On the long piece of swimsuit fabric that was reserved, find the center. 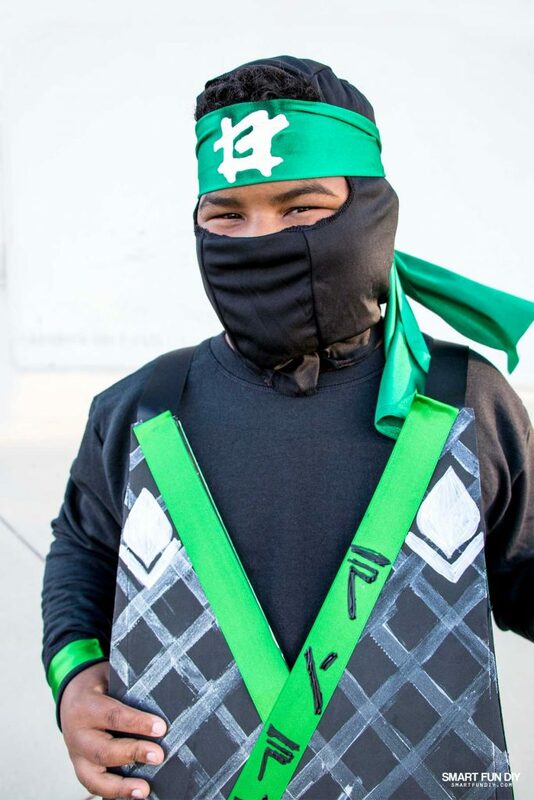 Draw the emblem from the headband onto this with white dimensional fabric paint. Allow to dry. 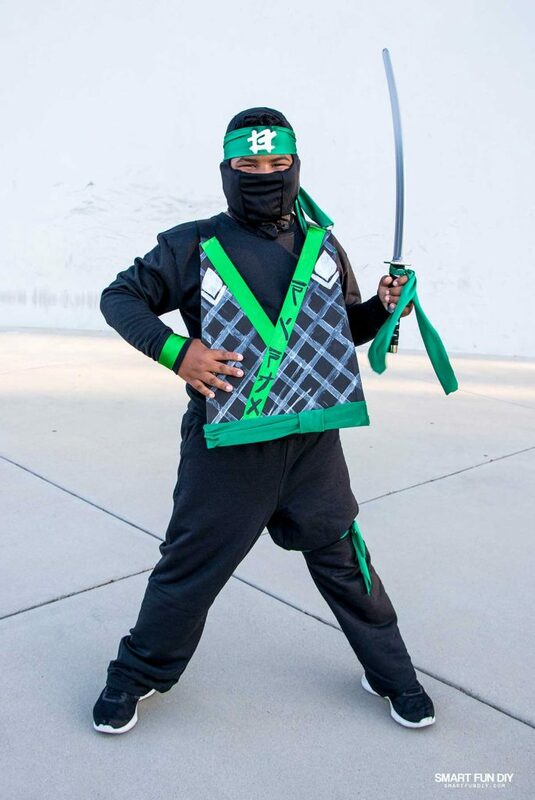 Who is your kids' favorite NINJAGO character?